Remember when I said I never do the same thing twice? 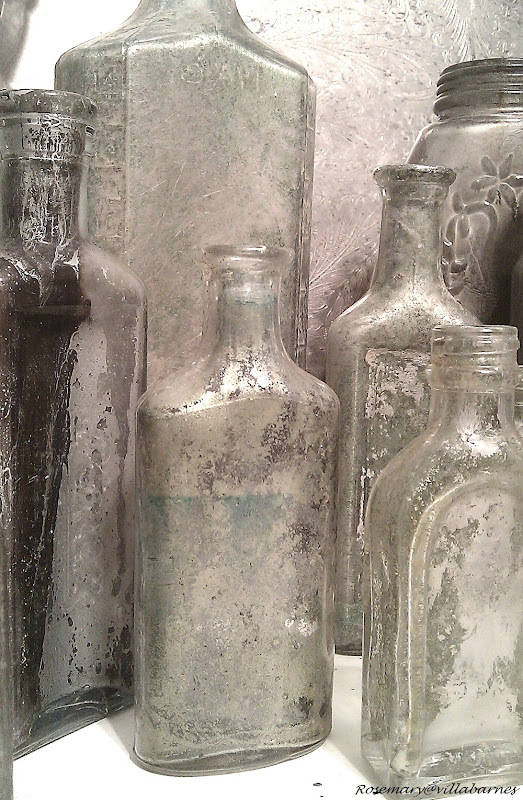 I've been working on variations to my "Silvered Bottles". I wanted these bottles to have more depth and personality. So, I went a little further with the additives. A little more rust, paint, this and that. The mad scientist continues to brew. I added the green patina. I'm having fun with these. I like the green you added. I bet blue would also look cool! Very pretty....You are such a mad scientist and your work is always lovely. Love it!! I bought my Silver Leaf yesterday, such a tiny bottle! And I am going to play tomorrow with all my bottles. I know my husband is waiting to see what I am going to do, I asked him for a small dish of Rust! Very cool, Rosemary! Love the green! Thank you for the inspiration! 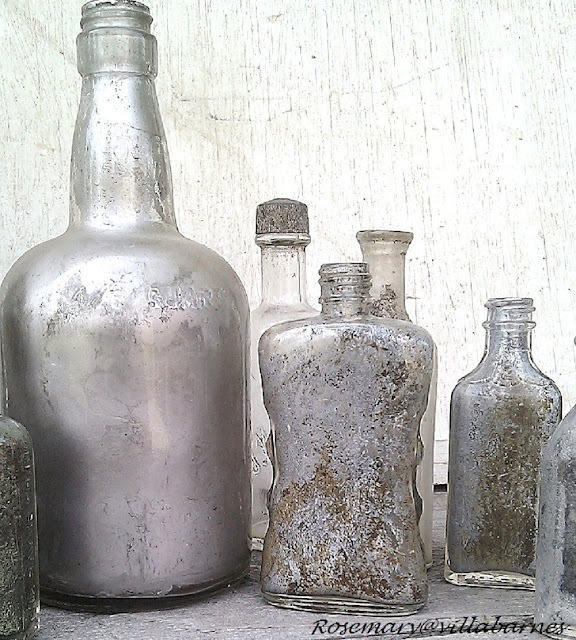 They look fantastic...you are like the Emeril of making gorgeous silvered bottles...A little bit of this, and a little bit of that, and BAM!! 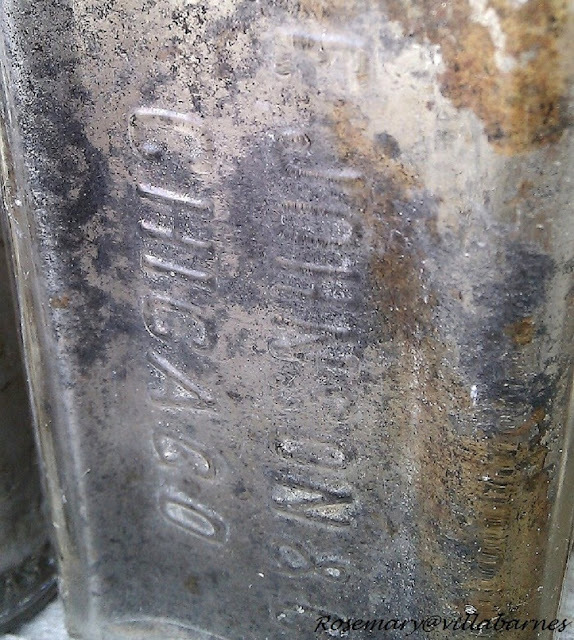 !.....a gorgeous bottle! Just when you thought it could not possibly get any better . . . you make it happen! Too cute! Love your little bottles. Where o where are you finding them all?? Rosemary those are so pretty!! So pretty. Sometimes projects just ask to be messed with/adjusted/re-tried/revamped... I totally get it. 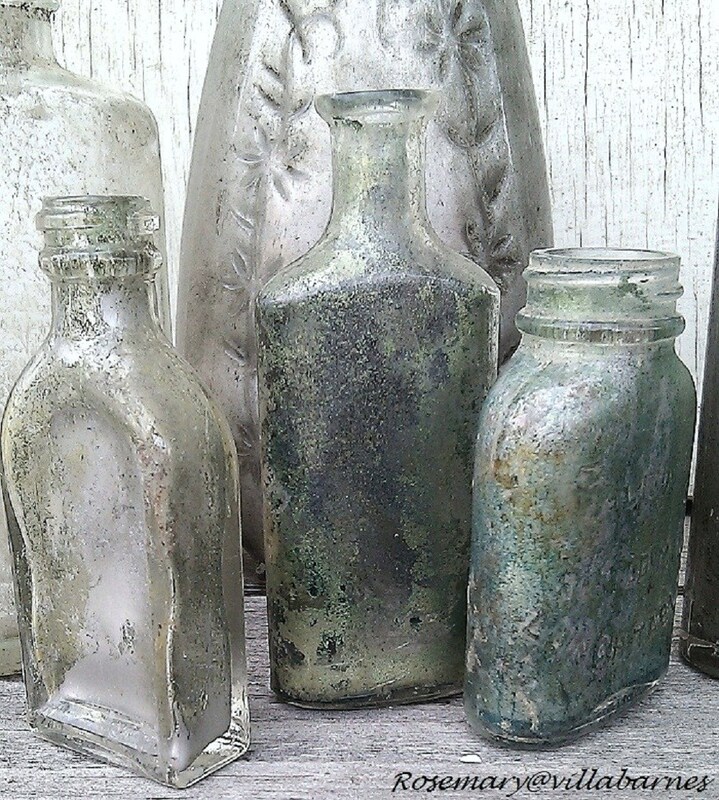 Wonderful job Rosemary, especially the green patina! They are really looking great! This would be a fun project to do with kids I bet. Think of all the possibilities and the help you could get! Ha! They are beautiful, and once again you have sparked my imagination. I think I need to try something like this. o wow! these are soooo cool! I want one!!! These are AMAZING! Love the addition of the green. Wow, I love them! The green you added looks great! 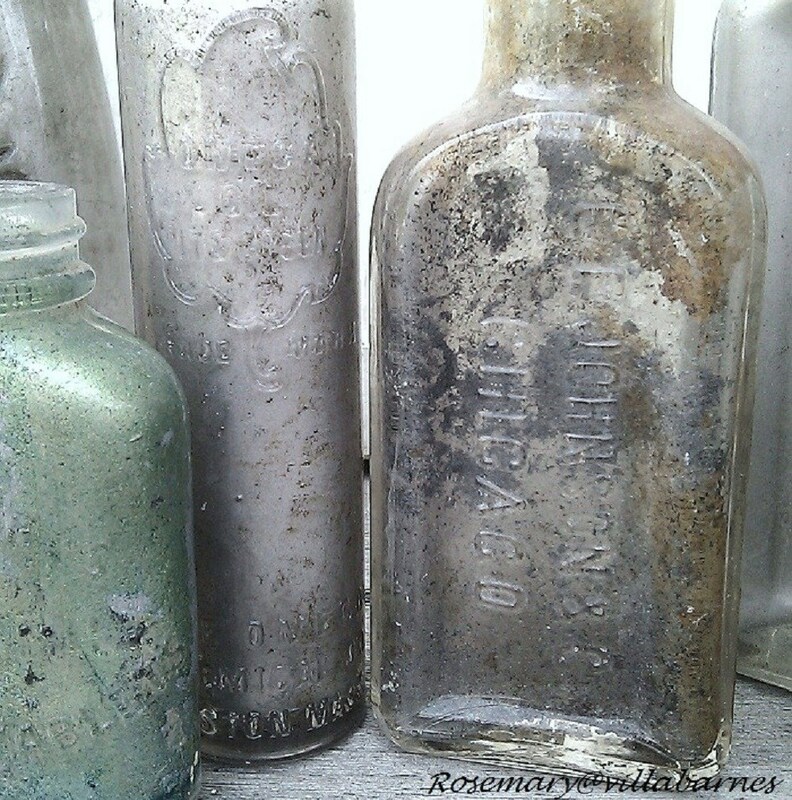 did you paint the outside or the inside of the bottles? Love how they came out!